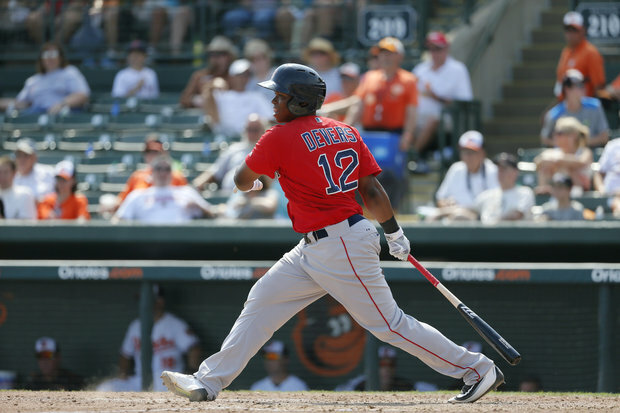 Multiple reports suggest that Rafael Devers—Boston's #1 prospect—is on the verge of being promoted to AAA Pawtucket. The 20-year-old third baseman has been tearing it up at AA Portland—batting .300 with 18 HRs and 56 RBIs. The Red Sox organization has consistently stated that his promotion to the majors would need to be preceded by a stint at AAA. So, if Boston does not pull off a trade for the Hot Corner, Devers may be the answer very soon. Stay tuned.